Closed May 23, 2019, 3-5pm for staff-wide training. The MHS Museum features changing exhibitions and programs spanning more 12 centuries of Maine life. Drawing from the extensive collections of the Maine Historical Society, original exhibits feature art, artifacts, stories, and documents that vividly bring Maine history to life. Below you will find information about our current exhibitions, but many of our past exhibitions live on in our Past Exhibits section. We hope you can visit our museum in person. Members receive free admission. All exhibitions are located at 489 Congress Street in Portland unless otherwise noted. Maine Historical Society is one of more than 2,000 museums across America offering free admission to military personnel and their families in collaboration with the National Endowment for the Arts, Blue Star Families, and the Department of Defense. We are proud to be a Blue Star Museum. 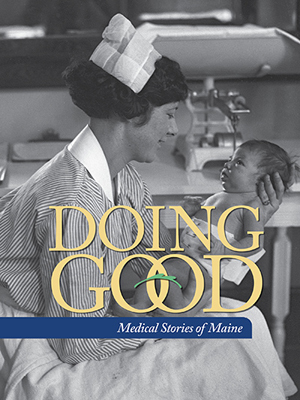 Throughout Maine's history, individuals have worked to improve and expand medical care, not only for the health of those living in Maine, but for many around the world who need care and help. This exhibit explores the organizations, individuals, and technology that has worked to keep us all healthy. Read more. 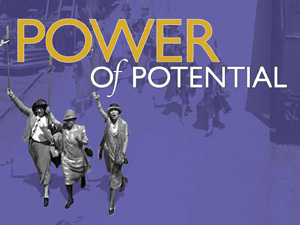 The National Federation of Business and Professional Women’s Clubs (NFBPWC) held their seventh annual convention in Portland during July 12 to July 18, 1925. Throughout the week, the Portland Evening Express documented the convention, highlighting activities through articles and featured photographs. This exhibition features images from Evening Express’ coverage, which are part of the Portland Press Herald glass negative collection at Maine Historical Society. Read more. The Museum's diverse collection of over 15,000 artifacts includes paintings, prints, and other original works of art, clothing and textiles, decorative arts, Native American artifacts and archaeological material, toys, tools, glass and ceramics, political memorabilia, militaria, and industrial and domestic artifacts that illustrate life in Maine. Search the collections database to see our museum objects, photographs, autograph letters, some architectural drawings, and newspapers. This is a work in progress; please contact MHS collections staff at collections@mainehistory.org for the most complete and accurate research. Research access to the museum collections is available by appointment. Contact the Collections Manager at (207) 774–1822 x210 or collections@mainehistory.org for more information. If you are considering donating historic material to the Maine Historical Society museum or library, please read our donation guidelines, and review the MHS Collections Management Policy.